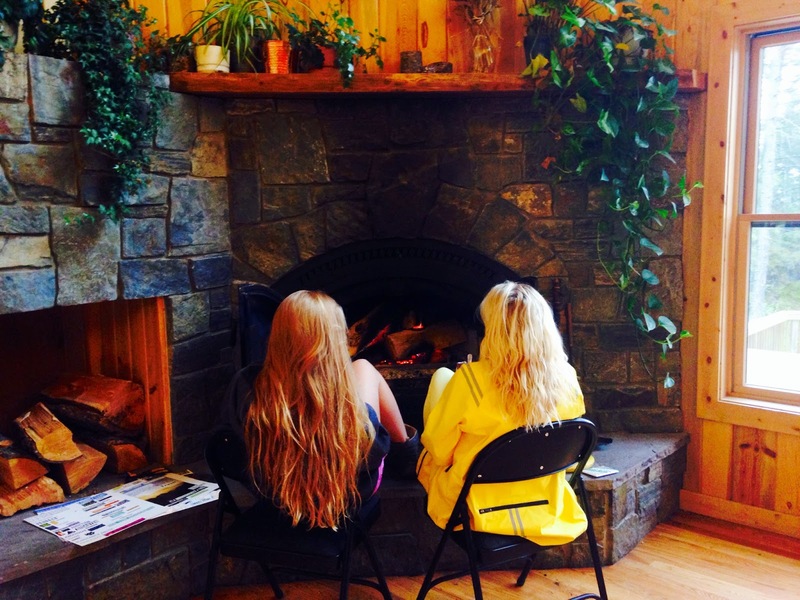 This year's mother-daughter retreat recently concluded its 2014 stint under the high beams of the Cockerall Center at Flathead Camp. Unseasonable temperatures, dramatic clouds and rain provided a unique experience this year as we anxiously awaited for the skies to part and the sun to appear so that we could be pulled around on the speed boat, canoe around the bay, and have our moms teach us how to do back flips off the diving board. Even though there was a bit of wet weather, participants of this year's mother-daughter retreat had an overall wonderful experiencing reconnecting with their daughters and mothers, respectively. Our therapeutic focus surrounded the bond that exists between a mother and her daughter. We celebrated feminine energy and set intentions for the retreat in our opening flower ceremony on Tuesday. Wednesday and Thursday events and groups focused on reorienting relationships toward healing and re-connection, while also having a bit of fun with some art projects, spa activities, adventure activities, and a talent show of moms, daughters and staff. With the fire roaring in the main lodge on Friday morning, we spent a lengthy, large group circle reflecting on all that was experienced and accomplished throughout the retreat, by highlighting our "favorite frames" and offering gratitude to and for the ones we love, the privileges we are granted, and the ability to be in relationship with each other. We are celebrating yet another extraordinary, healing, rich Chrysalis family event and send our deep thanks to all who helped to make it happen. Can't wait for next year!